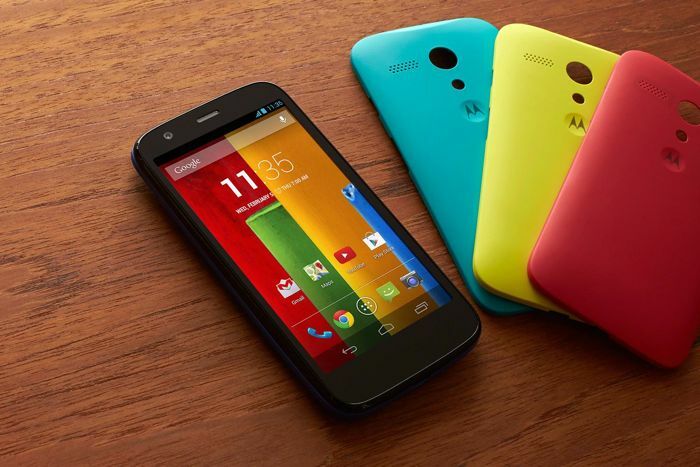 If you’re a proud owner of a Moto G tied to Boost Mobile, there’s a piece of good news for you. Motorola is rolling out the latest Android 4.4.4 KitKat update for the handset as we speak. The update doesn’t introduce many exciting features, but focuses more on bug fixes and enhancements to improve the performance of the device. Android™ 4.4.4, KitKat® – Android 4.4.4, KitKat, is the latest release of the Android platform. This release includes accuracy improvements to the power profile, several stability, framework and security fixes including update to OpenSSL. Camera – Pause video recording Added the ability to pause video recording with a convenient pause/resume button on the viewfinder. Updated Phone dialer – Updated Phone dialer with a new graphical layout and colors to improve consistency and usability. Enables Motorola Alert Application download – New Motorola Alert application sends periodic alerts with your location to your selected contacts. Now available for download from the Google Play Store. The update should reach you in the coming days since the process is gradual and may take a few days to complete. If you can’t wait, you can manually check for the update by navigating to Settings > About Phone > System updates. Let us know if you’ve received the update.